For the last few months I have been training for a 10 km run. The run is on July 26th and at this point I can run about 8 km before collapsing in a pathetic pile of mush. Running is the only form of exercise that I can do on a regular basis. Anything else I can’t really stick with. I feel it’s important to have inspirational athletes to look up to when training. In my case, I look to the T-1000. T-1000 is the shape shifting futuristic robot assassin from Terminator 2 – Judgement Day. As if that’s not cool enough, he runs like a badass. 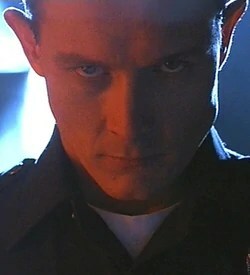 I first saw the Terminator sequel when I was 8 years old and I have always envied the T-1000. It’s horrible to say, but the soulless villain or robotic killing machine is always my favourite character. Check out the T-1000 running below and then you’ll understand my love.